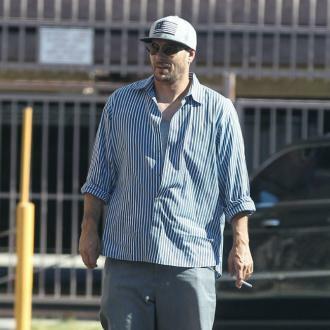 Britney Spears' husband Kevin Federline has been slammed by his ex-girlfriend, after he missed the first birthday of their son KALEB. SHAR JACKSON - who has two children with the dancer - claims Federline failed to even send a present to mark the infant's special day last Wednesday (20JUL05). A spokesperson for Jackson - who is rumoured to be dating director QUENTIN TARANTINO - tells PageSix.com the party she threw for Kaleb, "Came and went without a visit, present or phone call from Kevin or Britney." Instead Kaleb partied with his two-year-old year old sister KORI and other family members. Federline will become a dad for the third time in September (05) when Spears is due to give birth to their first child together.